You have to be beyond your instrument and hear, really hear what comes out the other end. If you’re just practicing for the sake of practicing, for getting better, that’s part of it, but also you have to hear what you’re practicing. You have to be a completely active listener while you practice. 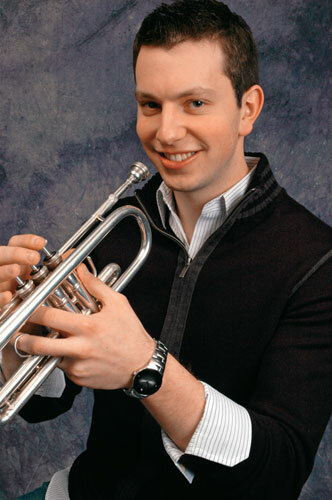 NY Philharmonic trumpeter Ethan Bensdorf is a superb classical trumpet player. We talked over the phone and he told me the story of how he landed the gig with the New York Philharmonic, playing with principal trumpet legend Mr. Phillip Smith, including a week Ethan spent getting his chops together on the rotary valve trumpet before heading back to New York for another round of final auditions. Ethan also shared his thoughts about practice and had a lot of great things to say. Hope you enjoy. What a great interview! These interviews are always so insightful, keep ’em coming! Since we’re on the topic of phenomenal trumpet players (really looking forward to Avishai Cohen! ), and you seem to have no problem getting prestigious guests on the show, any possibility of swinging an interview with Ambrose Akinmusire? One topic I would be very interested in seeing covered is how to practice for playing more experimental, “out-there” jazz that relies less on bebop patterns. I would love to see an AACM member or another avant-garder share their secrets too. Thanks, Mark! I’m also interested in how more “out” players approach practice. I haven’t heard of Ambrose, so thanks for that. I’ll go check it out soon. Nicole Mitchell is on my list, but she’s not as out as some. Maybe Corey Wilkes will talk to me. I’ll keep you in mind when I’m looking. Thanks for the comment. Sometimes I think I’m “playing” to an empty house, so it’s good to know somebody out there is listening. Cheers! Oh man, I am SUPER excited about the upcoming Avishai Cohen interview!!!! Any ETA on that? I love what you guys are doing on this site, thank you again! Thanks for the kick in the pants about the Avishai Cohen interview, Craig. I’ll finish the editing and have it up within a week.